Our new Shopping Cart feature for our alpaca duvets and alpaca yarns is now available for New Zealand and International sales. Please note we do attend a number of craft fairs through New Zealand and they are generally listed on our Alpaca News page. Currently payment on our shopping cart is by credit card settlement only. If you wish to settle is by cheque, bank transfer or cash please make contact. We hope you enjoy our wonderfully soft alpaca yarns, duvets, quilts and alpaca products all sourced and made in New Zealand! 100% alpaca yarn variegated-dyed in PROSE colour mix. 8-ply - 100 gram hank - 190 meters. These very individual colour mixes are designed and prepared by Doe Arnot and Flagstaff Alpacas. Enjoy the vibrant colours and soft feel of the wonderful alpaca. 100% alpaca yarn variegated-dyed in HOLLYFORD BLUE colour mix. 8-ply - 100 gram hank - 190 meters. These very individual colour mixes are designed and prepared by Doe Arnot and Flagstaff Alpacas. Enjoy the vibrant colours and soft feel of the wonderful alpaca. 100% alpaca yarn variegated-dyed in STIPPLE colour mix. 8-ply - 100 gram hank - 190 meters. These very individual colour mixes are designed and prepared by Doe Arnot and Flagstaff Alpacas. Enjoy the vibrant colours and soft feel of the wonderful alpaca. 8-ply - 200 gram hank - 100% Alpaca. Colourway - 'PINK-in-PINK' - 380 meters. Only 2 hanks in this hand-dyed yarn. 8-ply - 200 gram hank - 100% Alpaca. Colourway - 'RIPPLE2' - 380 meters. Hand-dyed yarn in 100% alpaca! 8-ply - 200 gram hank - 100% Alpaca. Colourway - 'BENJ' - 380 meters. Only 2 hanks in this hand-dyed yarn. 8-ply - 200 gram hank - 100% Alpaca. Colourway - 'TUCAN' - 380 meters. Only 2 hanks in this hand-dyed yarn. 90% alpaca yarn (10% nylon binder) variegated-dyed in WILD MARINER colourway. Boucle - 100 gram hank (230 meters). These very individual colour mixes are designed and prepared by Doe Arnot and Flagstaff Alpacas. Enjoy the vibrant colours and soft feel of the wonderful alpaca. 90%+ alpaca yarn (nylon binder) variegated-dyed in GLACIER colour mix. BOUCLE - 100 gram hank - 230 meters. These very individual colour mixes are designed and prepared by Doe Arnot and Flagstaff Alpacas. Enjoy the vibrant colours and soft feel of the wonderful alpaca. Our Brown/Black/White Marl 8-ply(DK) hank variegate hand-dyed in multi-colour scheme 'COMPANY BAY' - a blend of purples enriching the natural colours of alpaca. 100 gram hank - approx 190 meters. 75% alpaca, 25% merino - 4.00mm needles recommended. Our Brown/Fawn/White Marl 8-ply(DK) hank variegate hand-dyed in multi-colour scheme 'WAITAKII' - a hue of sea colours in lime greens & turquoise blues mixed with the natural colours of alpaca. 100 gram hank - approx 190 meters. 75% alpaca, 25% merino - 4.00mm needles recommended. Our Black/Brown/White Marl 8-ply(DK) hank variegate hand-dyed in multi-colour scheme 'MOERAKI' - a hue of sea/turquoise blues mixed with the natural colours of alpaca. 100 gram hank - approx 190 meters. 75% alpaca, 25% merino - 4.00mm needles recommended. Alpaca Duvet - QUEEN (210 x 210cm) 100% alpaca-fill with sateen cotton (290 stitch) with authenticity certificate for the 100% alpaca-fill. 400 GSM ... purrfect! 100% alpaca-fill with sateen cotton (290 stitch). 400 GSM ... wonderfully light! Includes authenticity certificate for the 100% alpaca-fill. 400 GSM - Warm as toast! Alpaca Duvet - KING (245 x 210cm) 100% alpaca-fill with sateen cotton (290 stitch) with authenticity certificate for the 100% alpaca-fill. 400 GSM - Warm as Toast! Made here in Dunedin, New Zealand. DOUBLE/KING SINGLE (180 x 210cm): 100% alpaca-fill with sateen cotton (290 stitch minimum). 400 GSM - warm by winter, cool by summer! 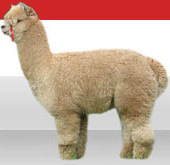 Includes authenticity certificate for the 100% alpaca-fill. Alpaca duvet - SUPER KING (265 x 210cm) 100% alpaca-fill with sateen cotton (290 stitch) with authenticity certificate for the 100% alpaca-fill. 400 GSM - with all the warmth qualities of this luxury fleece! The alpaca luxury pillow is filled with 50% New Zealand Alpaca and 50% New Zealand Lambswool. Standard size (45cm x 71cm)- soft to medium firmness. This pillow is a composition of two of New Zealand's finest fibres: soft Alpaca fibre & the strong, lofty and resilient Lambswool. Large stuffed alpaca soft toy - stands 32cm high and colour is tan - solid colour. NOT made of alpaca skin and not filled with alpaca fleece. Designed in New Zealand and made overseas - filling is soft polyester and quality outer plush to ensure product is wonderfully soft and huggable ... just like real alpacas!